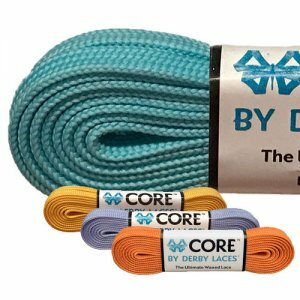 ﻿ Derby Laces Core Narrow Waxed Laces (many colors) - $6.00 : Bruised Boutique, For Derby. By Derby. 6mm wide shoe lace with super strong fibers, high performance wax, and molded tips suitable for shoes, boots, skates and other high performance lace needs. Sold as a pair (two laces).